The Last Magician – one of my most anticipated releases for 2017. Magic, time travel, and historical fiction all rolled into one book was sure to be an epic reading experience for me. And it was! The story jumps around a bit in the beginning to different time periods to set the stage. We start off in New York at the turn of the twentieth century and discover firsthand the devastating consequences of being trapped inside of Manhattan by an invisible force, the Brink, that strips any Mageus of their magic and most likely their life if they go near the border to leave the city. Our introduction to the main character, Esta, shows us her magical affinity to travel through time, a skill she uses to hunt down magical objects her mentor in modern day New York believes can be used to free them from the Brink. The most important artifact of all is a book, the Ars Arcana. And Esta must travel back to 1901 to steal it before someone called the Magician steals it himself. I loved the 1901 setting as well as the characters we are introduced to, and luckily we spend the majority of the novel here. It’s a very dangerous world with creepy gangs and the Order, a society determined to destroy and control those with magic, around every corner. Yet Esta fit in remarkable well, using her thieving skills to her advantage to get in with the right people when she hit a snag with such an extreme jump in time leaving her temporarily stuck and more determined than ever to complete her mission. Esta was extremely independent and very good at getting herself out of precarious situations all on her own. I loved that about her. Especially when she would prove to the boys that she wasn’t a damsel in distress needing to be rescued and was fully capable of doing her own rescuing. Then there was Viola and her badass and deadly ways with a knife, Jianyu who was quiet and sneaky but always there when you needed someone, and Harte Darrigan our mysterious Magician are just a few additional characters we meet and even though I was unsure who to trust at times, I still felt a connection to each of them and grew attached as Esta did. Harte Darrigan especially. Because much of the story is not knowing who to trust, he remains a bit of a mystery for much of the book. But there was this unresolved attraction between Esta and Darrigan that hinted towards a romance that could only end in disaster. The past and the modern day times are connected in ways I could not have predicted and some ways I could. I loved every direction the story took and all the surprises thrown in. This book is on the long side, around 500 pages, and with so much magical background to get through and details to explain (I think I got the gist of most of it but a few details went over my head), the story did feel a little slow at times for someone like me who is a slow reader. I don’t think that will be the case for everyone, however. 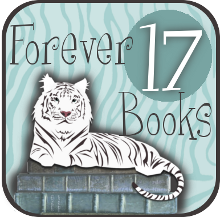 I was so engrossed the farther I went that as I saw the pages I had left dwindling down, I did not want it to end. And though we get a somewhat conclusion to some of the storyline, it is only the beginning with so much left to explore and wrap up. The author did a remarkable job setting up such a fascinating world that touches upon an array of genre that I adore. I am thoroughly looking forward to returning for the sequel and where it can possibly take us! *I received this book for free from an ARC Tour in exchange for an honest review. This does not affect my opinion of the book or the content of my review. 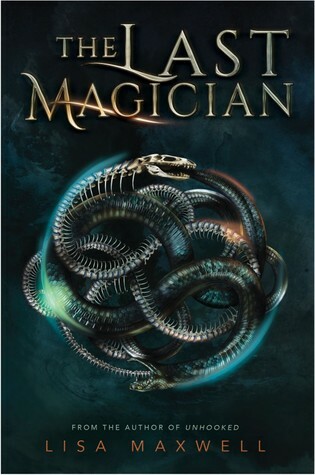 1 winner will receive a signed finished copy THE LAST MAGICIAN & swag, US Only. Lisa Maxwell is the author of Sweet Unrest, Gathering Deep, and Unhooked. Next up is THE LAST MAGICIAN (July 2017). When she’s not writing books, she teaches English at a local college. She lives near DC with her very patient husband and two not-so patient boys. I have added this one to my list now, I really want to read it!!! Great review! Trapped in New York…the horror!